Observation - Northern Marsh Orchid - UK and Ireland. 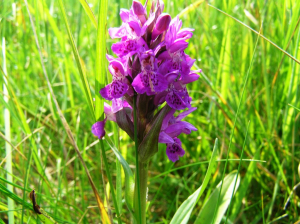 Description: Purple orchid growing on Skye in acidic marshy grassland with sphagnum. Purple orchid growing on Skye in acidic marshy grassland with sphagnum.